Up all night? Grinding your teeth? Reflux? All of the above? 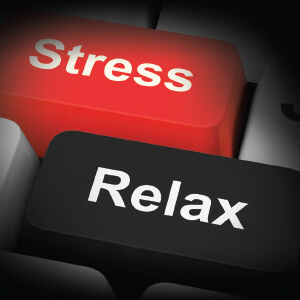 How we react to and handle stress is a multifaceted and individual process we all should be working on. As I close in on 20 years of practice and nearly as many years in some form of management, I’ve found myself reflecting on what is important, what could I do better, what have I done wrong? The cliché of “what would I tell the younger me” comes to mind as I reflect on career, family, and life in general. Stress is ubiquitous. Everyone has uttered the words “I’m stressed,” and our biology has a whole system of ramping our senses up and down to deal with it. Imagine if we had evolved to be oblivious to stress! Examples of physical and outward changes are easy to find (see the change in past presidential hairlines and the solemn march of gray hair and wrinkles over the course of eight years in the Oval Office), but for the average person the effects can range from the subtle to the dramatic. Each of us, in just trying to make the best of each day or to be a better spouse, parent, friend, citizen, employee or employer, is under stress. The effects of stress are well documented, and the chronic and steady effects of elevated stress can take a toll on the cardiovascular and endocrine systems. So what do we do? With 20 years and some gray (okay, a lot of gray) and thankfully few wrinkles, I humbly offer the following. What are the things that cause stress in your life? In your work? (Those of us stressed out by “lists” should skip ahead a few lines.) Taking a stress inventory is a useful start. Grab a clean legal pad and a sharp pencil, take a deep breath, and jot down each stressor as it comes to mind. From here a “tree” develops. If “meeting deadlines” is a stressor, the branches develop as you explore what about meeting deadlines is stressful to you and what can you do about it. Why do you have difficulty meeting deadlines? What are the obstacles? Who are the people in your circle that help you or hinder you? 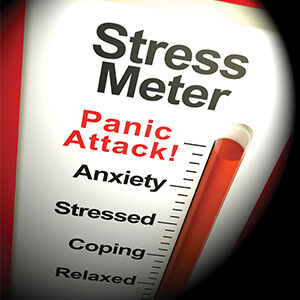 Using and developing a stress inventory invites you to look at the “stress” and do the work of figuring out what the issues are specifically. It is too simplistic to say “I am stressed by deadlines.” Most would have some sort of stress with a deadline to meet, but individually we each have specific components that we can dissect. For many of us the emerging pattern will be clear. But for the poor souls slumped in defeat over pages of legal pad scribble and coffee-stained notes, the stress level will continue unabated. This in itself is a useful outcome in that it signals more work needs to be done: further introspection and the ability to strip bare our excuses and confront what we contribute to our own stress. Over the years I’ve worked on handling stress and to some degree have been successful and at times a little bit untruthful with myself about how well I am doing. Understanding this is another step in the process and is best known as the “check-in.” Unless you are the sole practitioner on a deserted island and Wilson (from the movie Castaway) is your only client, you’ve got someone around you who can give you feedback. Colleagues, loved ones, children, clients, and friends can open our eyes in an instant. “Do I seem stressed to you?” and “How can you tell when I am stressed out?” The answers may be simple but deeply insightful and valuable. Resist the urge to reject the outsider’s view. And resist the reply of the Stress Martyr: “I’m fine!” Often others see us more clearly than we see ourselves, and too often we underestimate the difficulty of deep self-reflection (and the practice it takes to be good at it). The check-in is a valuable tool and when compared and combined with the stress inventory our eyes open to the roots of our stress. Another valuable part of managing stress, and for me probably the most important finding in my journey and still the hardest part of the process, is the realization that procrastination is a defense mechanism. Years of believing that I “work best under pressure” or convincing myself that the habit of procrastination was not a negative but a positive adaptation that allowed me to be successful on my own terms were fallacy. Younger me wouldn’t have listened, but teaching him that putting off what needs to be done is a temporary relief but a net loss in the stress game would have been a valuable lesson—a lesson I am still working on and one that was not easy to understand and accept but is still an important part of my stress management. Many different forms of the “Will it matter in 5 minutes, 5 months, or 5 years?” mantra float around the internet. Others such as “Is it making me happy, healthy, money, or making me better?” are also good questions to be asking yourself. These mental check-ins are logical caveats to the stress inventory. Your list of stressors reviewed and teased out to its roots will leave you with a deeply personal and powerful picture of where you are, what’s important, and how you are going to get there. With this picture, you’ll see a pattern evolve in this process of self-reflection. But I invite you to think of this in another context. If your patients said they had no time to devote to improving their physical health, what would your response be? We as health care providers, mentors, spouses, friends, parents should be modeling and evangelizing the importance of taking care of the mental and emotional as well as the physical. Because sooner or later if you don’t deal with something, it will deal with you. A future article will offer concrete suggestions for a Plan. You are welcome to share your thoughts with me about what has or has not worked for you! Eric Cardin, PT, MS, is a PPS member and executive director of South County Physical Therapy, Inc, located in Auburn, Massachusetts. He can be contacted at ecardin@sc-pt.com.